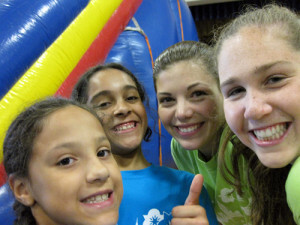 Each summer, one teacher and two students from each of the high schools in the Holy Child Network of Schools put their summer vacation to good use by helping some of their fellow Holy Child friends by making a difference in the lives of young girls. The teachers and students plan and run a week-long summer camp for the incoming fifth grade students of the Cornelia Connelly Center (CCC) in New York, NY. 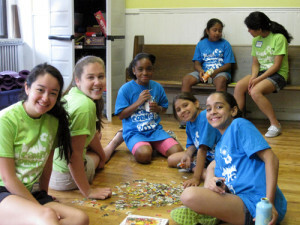 The students and teachers named the program, Camp Cornelia in the City, after the Society’s Foundress, Cornelia Connelly. During the Cornelia in the City camp, each high school runs the academic and enrichment program for a day, putting a unique spin on each subject. 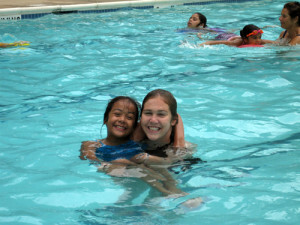 The girls are also treated to a day of relaxation at their pool—an important part of any summer camp! The Camp Cornelia in the City program also reflects on the foundress, by reading A Generous Love, the children’s book about the life of Cornelia Connelly. It is a truly rewarding experience for all involved.